Among the singers I've seen and heard, I've always had a soft spot for Dutch soprano Elly Ameling. Few artists possess a voice of sweetness and exquisite purity as hers, and equally few have her musical sensitivity and elegance, and her trademark sincerity and simplicity. Although she did sing opera from time to time, she was first and foremost a recitalist, in a genre where she reigned supreme for three decades. I was deeply moved by her Toronto farewell at the George Weston Hall way back in the mid 90's. 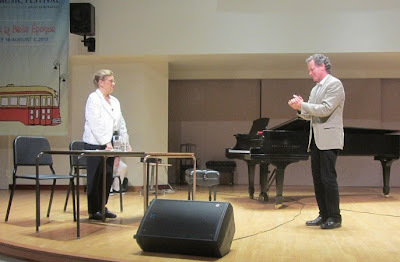 Her subsequent visits to give masterclasses were important occasions for students and audiences alike. She is in town this week under the auspices of Toronto Summer Music Festival and Academy. Yesterday afternoon at Walter Hall, a small but very knowledgeable and enthusiastic audience was witness to the Ameling magic once again. 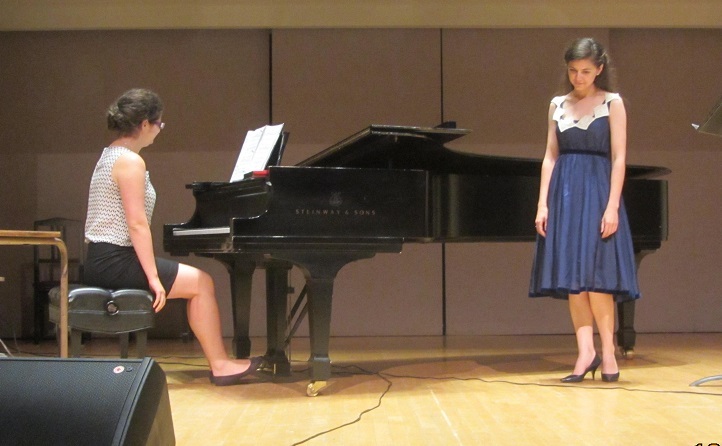 Participating were four singers (sopranos Jennifer Taverner and Lucy Fitz Gibbon; mezzo Evanna Chiew; baritone Stephen Barchi) and three pianists (Nina Horvath, Rod Yu Kai Chi, and Alexander Tarras De Sina). As is typical in a masterclass situation, each singer gave a brief introduction to the audience - name, title of the song etc., then proceeded to sing the song through once, followed by comments by Ameling. Wisely the comments were almost entirely about interpretation, and only very occasionally touching upon technical issues such as breath support or tone colours. This is wise as the masterteacher won't be around in case the singer runs into trouble. A consummate teacher, Ameling focused on helping the student to achieve vocal and textual nuance by stressing certain sounds and vowels, and making the text more idiomatic. She also made sure the students understood the emotion and motivation of the character being portrayed. The first singer up was soprano Jennifer Taverner, singing Schubert's 'Ganymed.' Pianist was Nina Horvath. An ideal song for her lovely light lyric voice, she made a strong impression with nice, silvery tone. Ameling praised them for the beautiful singing and playing, then suggested that it was too fast without sufficient changes in tempo to bring out the meaning of the text. She also wanted the soprano to enunciate the German text with more clarity, and to sing a particularly challenging phrase in one breath. Pointers were also given to the pianist to play certain moments as a soloist yet offering full support to the singer. The final result was an idiomatic, beautifully sung piece. Taverner was followed by mezzo Evanna Chiew singing 'Seit ich ihn gesehen', the first song of Schumann's famous Fraunliebe und Leben. She was accompanied by pianist Rod Yu Kai Chi. Chiew has a very beautiful and rich lyric mezzo of surprisingly big volume, if only a little short on contrasting tone colours such as a hushed mezza voce compared to her fortissimos. Ameling offered the finer points in German pronunciation and interpretation of this song. At one point, a recording of Ameling in this song was played. As expected, Chiew incorporated the teacher's suggestions and showed marked improvements at the end. After a brief intermission, the only male participant, baritone Stephen Barchi and his pianist Alexander Tarras De Sina took center stage, in Brahms' 'Feldeinsamkeit.' This song requires rock solid legato and a well developed mezza voce to achieve a hushed quality essential in this piece. While Barchi has the right voice for a piece best sung by a male voice, the initial run-through was taken at too slow a tempo, resulting in laboured legato. At Ameling's suggestion, a quicker tempo was adopted and the result was immediate. 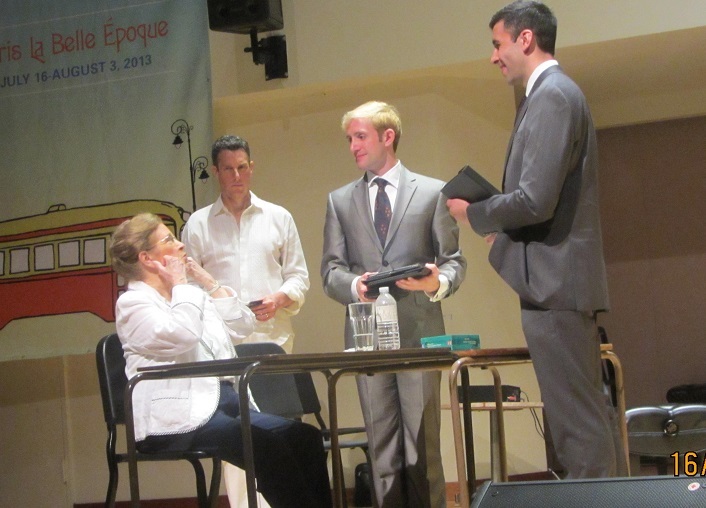 The teacher appeared pleased with Barchi's vocal qualities and worked extensively with the duo. If one were to nitpick, there wasn't a sense of bliss, or a smile in the voice, in Ameling's own choice of words. A recording of Ameling's own singing of this song was played - gorgeous by the way, and to these ears much preferable to some of the other famous versions like the one by Schwarzkopf. Too bad they didn't also play Dietrich Fischer-Dieskau with Jorg Demus at the piano, as FiDi's rendition is the gold standard for me. The final participant was soprano Lucy Fitz-Gibbon singing the lovely 'Auch kleine Dinge,' the first song from Italienisches Liederbuch by Hugo Wolf. Her pianist was Nina Horvath. Fitz-Gibbon possesses a high soprano of exceptional clarity, an attractive timbre that immediately engages one's ear. On the debit side, the voice also has a fast vibrato bordering on a tremolo that occasionally intrudes. She also has a tendency to suppress the consonants, so Ameling worked with her on German diction and to bring clarity to the text, and to improve her body language onstage. The recording chosen by Ameling for illustration was the version by Dietrich Fischer-Diekau. Although occasionally sung by a man, this first song of the cycle is usually assigned to a woman. Once again, after a few pointers, Fitz-Gibbon sang the song beautifully. After three hours, the masterclass came to an end. 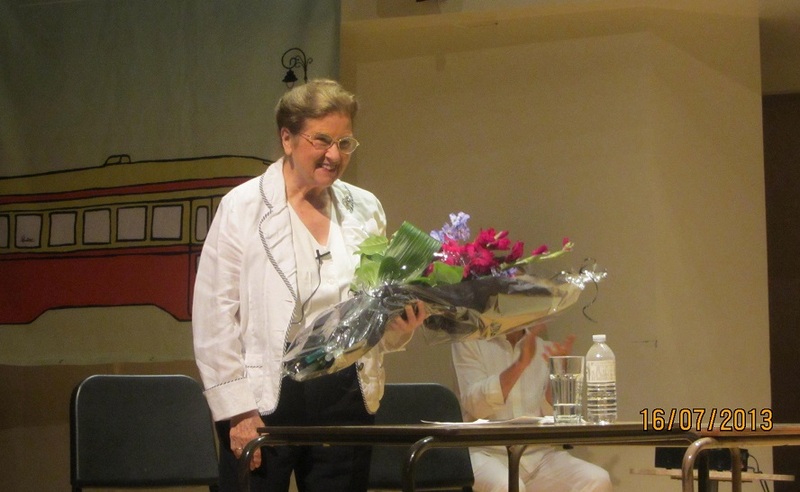 Douglas McNabney came on stage to publicly thank Mme Ameling, and to present her with a lovely bouquet. All the singers undoubtedly benefited from her pearls of wisdom, and I'm sure they look forward to a week of intensive work with the Dutch soprano, to be followed by two other eminent pianist/coaches, Michael McMahon and Julius Drake. Incidentally, tomorrow (Thursday) at 1:30 pm, as part of the Festival Insiders feature, Rick Phillips will be interviewing Ameling in the Geiger-Torel Room at the Edward Johnson Building. This is something not to be missed by admirers of Elly Ameling.